When Dallas Mavericks’ owner Mark Cuban said he would draft college basketball star Brittney Griner or at least invite her to play on Dallas’ summer league team in Las Vegas, he put Griner in a lose-lose situation. If Griner said no thanks, then she would look afraid of the NBA, but accepting Cuban’s offer she would be prompting the idea women need to validate themselves by playing against men. Her response is one any competitive athlete, no matter what gender, would genuinely make. She should feel she could compete with men and be successful; she does not need the NBA to validate her talent. Her dominance on the court in her college career should make her a polarizing figure in her own right. She is easily recognized as one of the top women’s college basketball players in recent decades. Griner has nothing to prove to people, but Cuban’s comments, though sincere, have made people forget about her greatness and are now questioning what she can’t do. The surface of debate with Griner’s game is her physicality- that she is too slow and simply is not athletic enough to play in the NBA. In reality, Griner probably could not succeed in the NBA. One of the biggest parts of Griner’s success in college basketball was her dominance with her ability to be physical. Griner, listed at 6-foot-8 and 207 pounds, towered over almost all of her opponents in college. In the NBA she would be the same size as a skinny forward, not a powerful center. For her career, Griner has dunked 18 times. The feat is undoubtedly an impressive one for a women’s basketball player, but that would be matched in two games for LeBron James. A woman with the best chance of playing with men would have incredible quickness and can shoot the lights out, not one whose game consists of being overly physical against other players. Thanks to Cuban’s comments, people have forgotten about Griner’s unbelievable career. 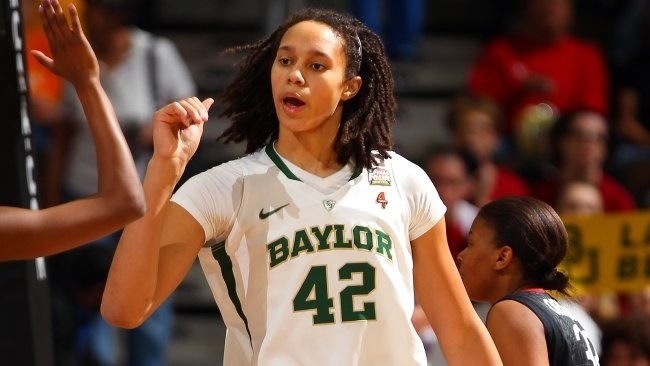 In her four years at Baylor, she won Big 12 Player of the Year three times, Defensive Player of the Year four times and won a national Player of the Year as well. Attempting to make the NBA would not be a first for women. Ann Myers signed a contract with the Indiana Pacers in 1979 and tried out for the team. She did not make the Pacers roster, but her credibility was not questioned. Griner’s case would be different. In today’s media crazed world, if Griner did not make an NBA roster, people would be all over her failures and forget her success. Griner was recently taken as the No. 1 pick in the WNBA draft by the Phoenix Mercury. She should focus on her career in the WNBA and strive to be the greatest women’s basketball player of all-time. Could Serena Williams beat Rafael Nadal? How would Alex Morgan play against men soccer players? What if Jennie Finch, in her prime, pitched to Miguel Cabrera? All these thoughts are fun and a part of sports, but let’s just keep these ideas as fantasies, and not question these women’s talent. Women athletes should not have to compete with men to validate their talent. The accomplishments they make in their own sport against their gender are enough to validate their credibility as an athlete. Completely true! During the Olympics, I was watching the men’s football (soccer) final and then someone told me I was sexist for not watching as many women’s games! I told them that it wasn’t sexist, it’s just a general fact that in most sports, men are better than women.